I've looked at other posts, and their solutions didn't work for me. 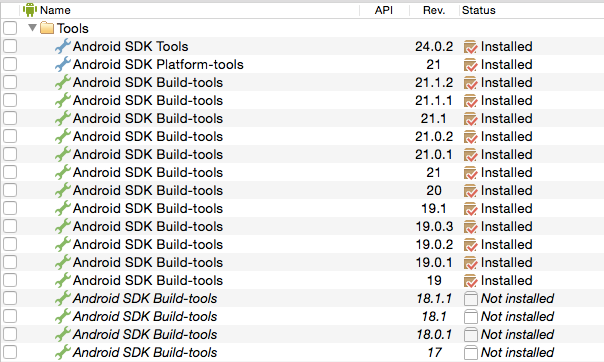 I tried editing build.gradle and changed buildToolsVersion. Also, in my SDK manager, I have everything installed. I'm not sure if this is helpful, but this is my manifest file. Which one is preffered for describing too many IBOutlets, "@property with weak modifier" or "private instance variable" form ? How to retrieve common interest of 2 facebook friend using graph api? How to change uiview's height using auto layout? Which database to use for educational android application?? True or false my configurasi sendmail with codeigniter on localhost?